Looking to fuel your brain and your workout? Here’s a handy list of foods that contain healthy carbs to help you make smarter food choices. There are many reasons you’d want to know what foods contain healthy carbs. You could be looking to optimize your gut health. If you’re an athlete or into fitness, then you need quality carbs to give your body energy. Maybe you’re practicing food combining and need to know which foods have carbs, so you’re careful not to pair it with high fat or high protein foods. No matter your reason, here’s a helpful list of healthy foods with carbohydrates. The easiest way to identify high carb foods is by taste. If it tastes sweet, then there’s more sugar content which makes it a high carb food. This is particularly true of vegetables. 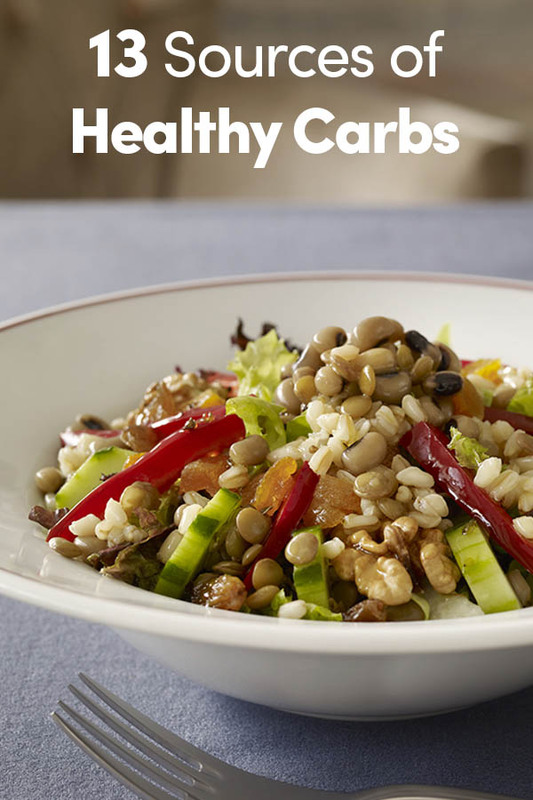 On the other hand, grains and seeds may not be sweet, per se, but still have a high carb count. Listed below are the top vegetables, grains, and seeds that contain good carbs. Sweet potatoes are high in fiber with high levels of antioxidants which help to stabilize blood sugar and lower insulin resistance. 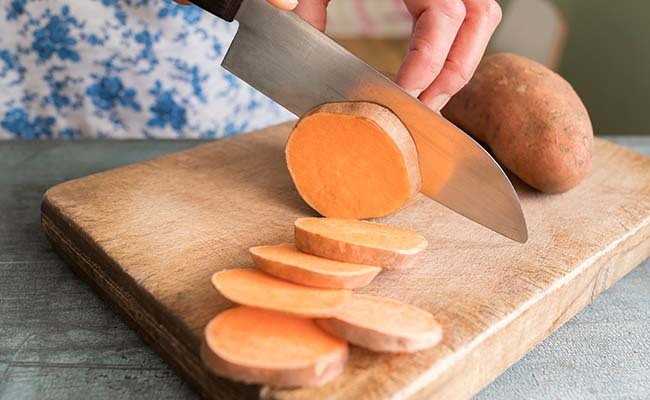 Sweet potatoes contain various nutrients like vitamin A, C and B6 which help to provide more energy. Butternut squash is a great source of many vitamins like B6, folate, manganese, thiamin, niacin and vitamin E among others. It contains carotenoids and other antioxidants to help decrease inflammation and promote health. Black-eyed peas are a great source of fiber, which helps to improve digestion. They also help your body increase folate intake, lower blood pressure and prevent anemia. Green peas are a good source of antioxidants as well as fiber, and they’re a good source of vitamins A, C and K. They are also a good source of plant-based protein. Carrots are naturally sweet; when you juice carrots you’d be surprised by how sweet the juice is! They’re are an excellent source of beta-carotene, vitamin K, potassium, fiber and antioxidants. Pumpkin is a wonderful seasonal vegetable with a good amount of potassium, Vitamin C and fiber. The colorful vegetable contains antioxidants that help to protect against bad cholesterol, called LDL. Beans are a great source of fiber, which is super important for digestion. They also contain protein, B vitamins, iron, folate, calcium, phosphorous, zinc and potassium. Barley is a magical appetite suppressant, thanks to its soluble fiber, which also helps to lower cholesterol and blood sugar. It also helps to keep your digestive system moving. Oats are a complex carbohydrate which helps your body stay full and energized longer. The fiber allows the sugar to release slowly, which keeps your blood sugar from spiking and allows you a steady stream of energy. Quinoa has the most protein of any grain. It’s more like a grain-like seed or cereal. It also has a good dose of unsaturated fats, fiber and B vitamins. Kamut is an ancient grain with a healthy dose of omega-3 fatty acids and protein. Kamut can help reduce cholesterol and lower blood sugar. It also helps to prevent or reduce inflammation in the body. Amaranth is a gluten-free source of carbohydrates and a complete protein with tons of fiber. Its biggest benefit is its anti-inflammatory powers. It also contains calcium and magnesium, which help with blood sugar regulation and weight loss. Fruit is probably the easiest healthy carbohydrate to identify. It’s loaded with phytonutrients and antioxidants, plus lots of carbohydrates. Fruit is always a healthy carb option. I love barley and quinoa and could eat them very single day. Also am a fan of most fruits.